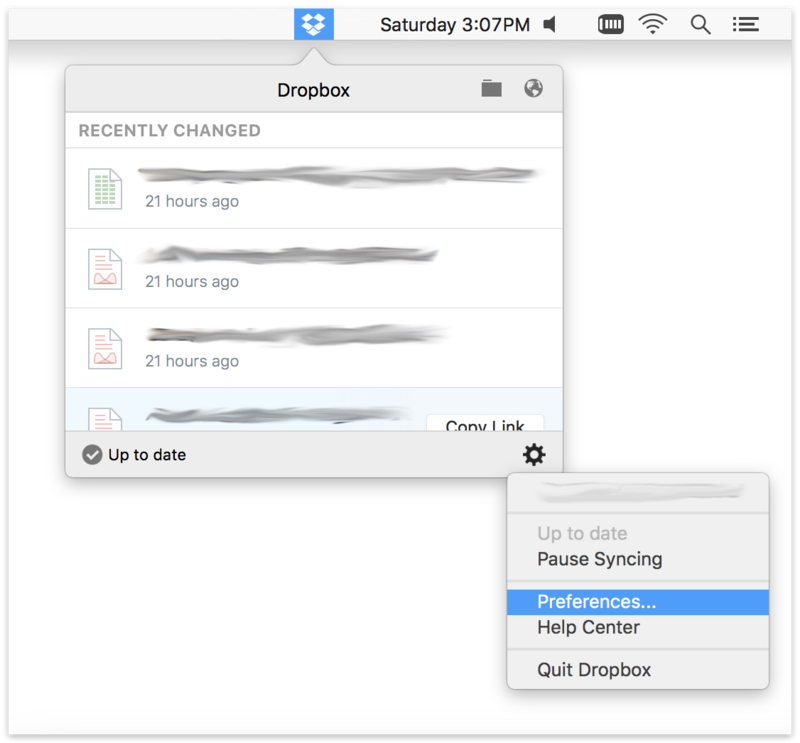 Dropbox is a free cloud service for synchronizing files across multiple devices. 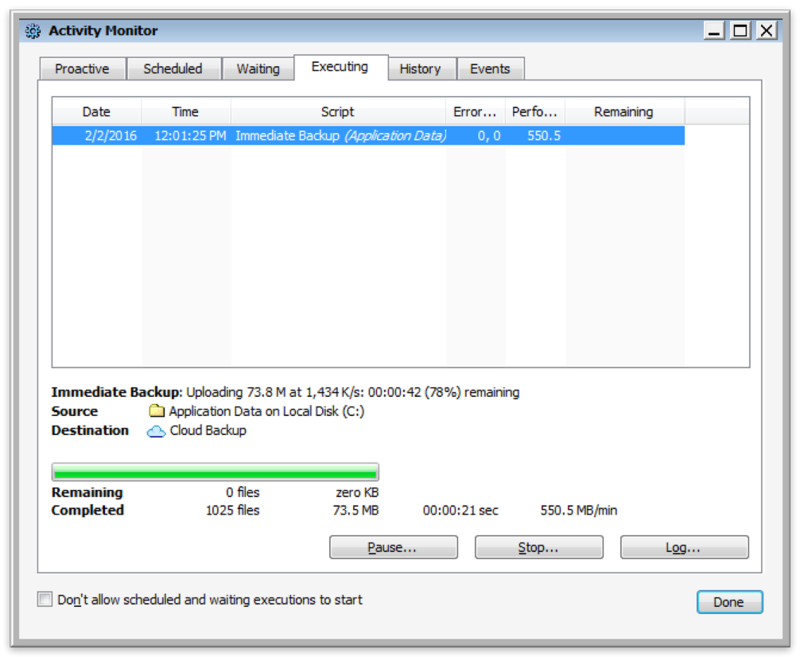 It offers 2GB of storage for free and 1TB of storage with Dropbox Pro as well as Dropbox Business. 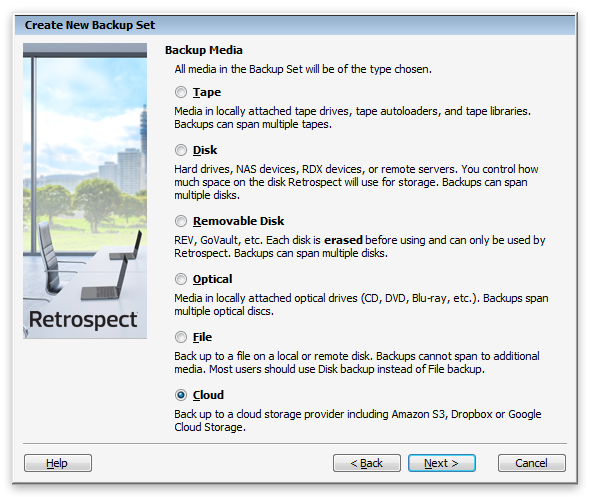 Retrospect 11.5 for Windows and Retrospect 13.5 for Mac are certified for Dropbox. 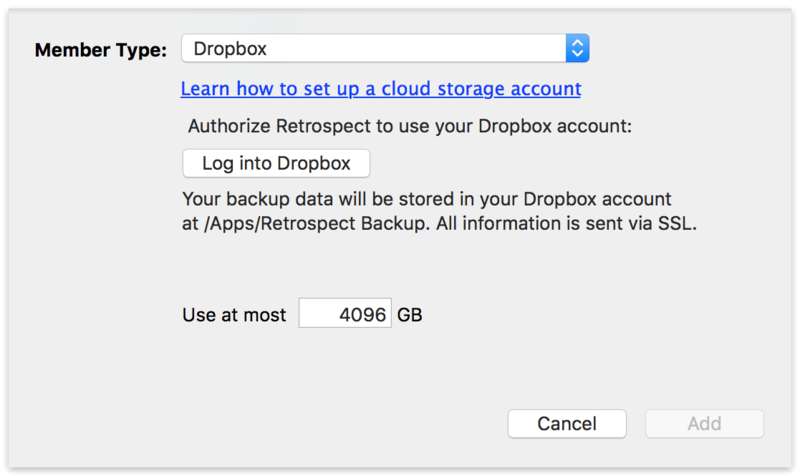 Follow these step-by-step instructions for setting up a Dropbox account, adding it to Retrospect, and excluding the backup data from your synchronized files. 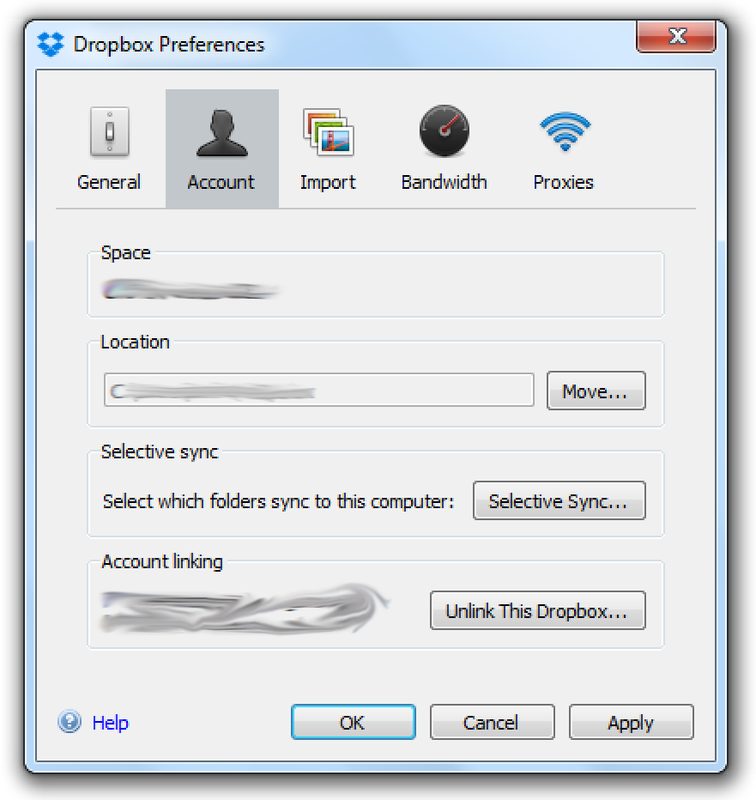 Setting up a free Dropbox account is quick and easy. 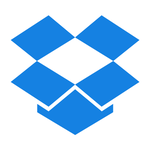 Simply visit Dropbox. Type in your name, email address, and password and click "Sign up for free". 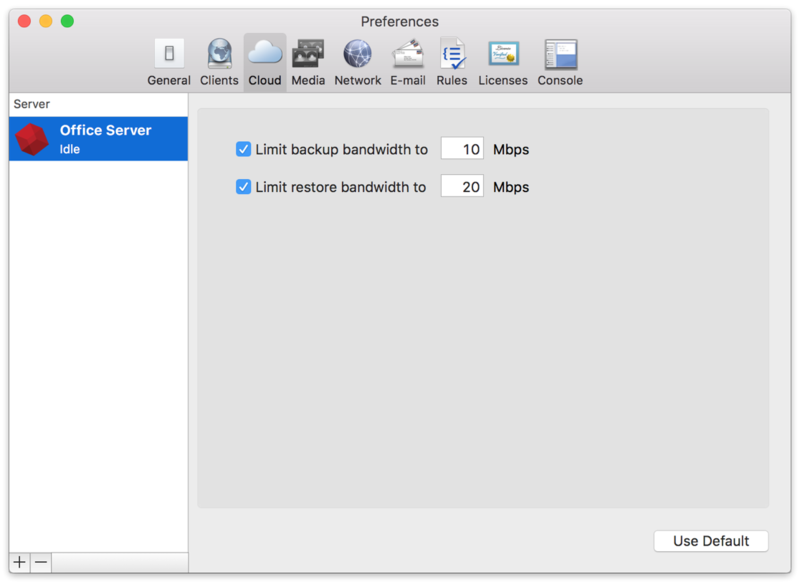 The steps are different depending on your platform, so step through either the Windows steps or the Mac steps. 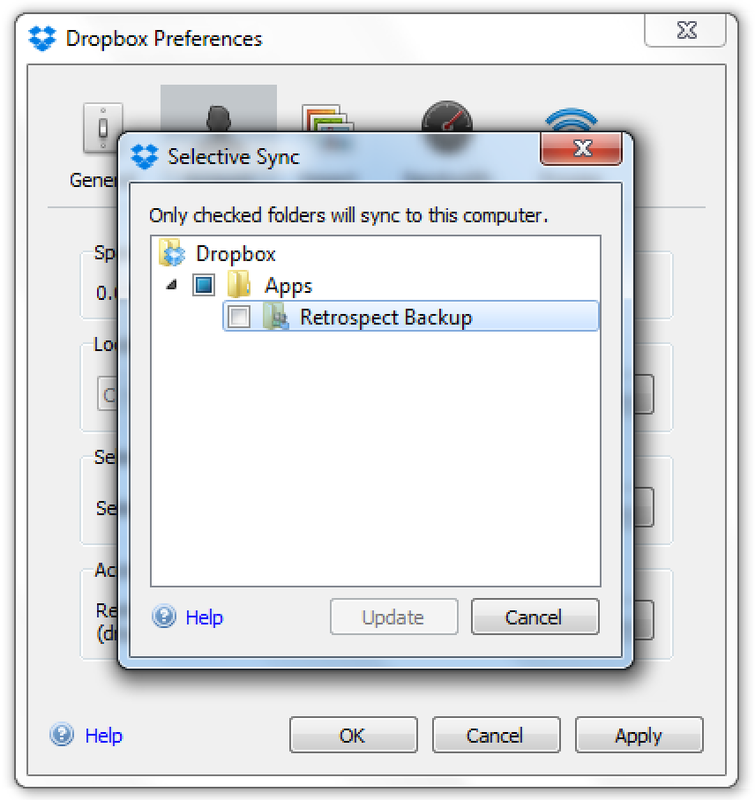 Select "Dropbox" from the dropdown menu and click "Log In…​". Do not fill in the text field. 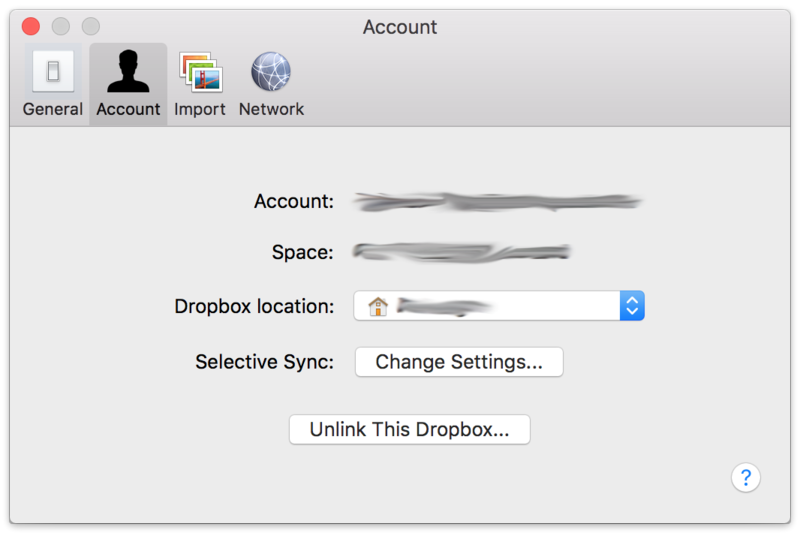 This is for the one-time authorization code issued by Dropbox after you log in. 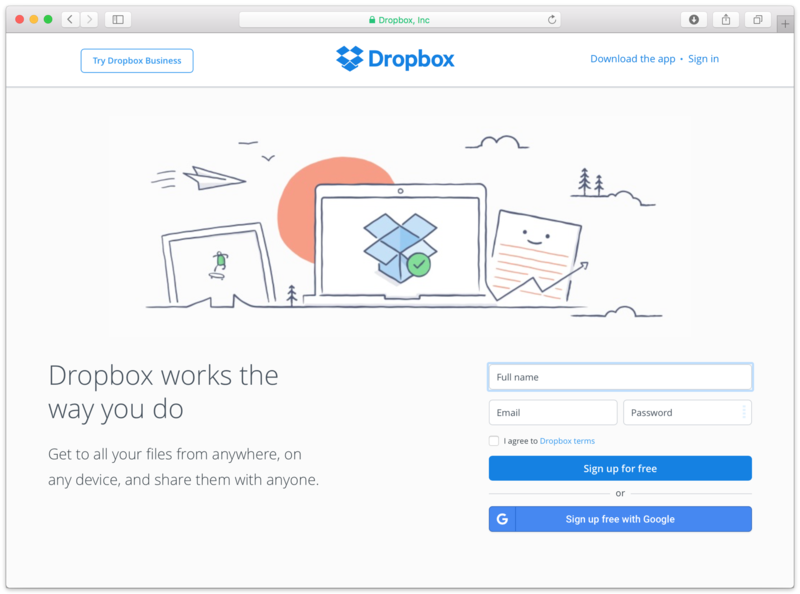 Sign in to Dropbox with your Dropbox email address and password. 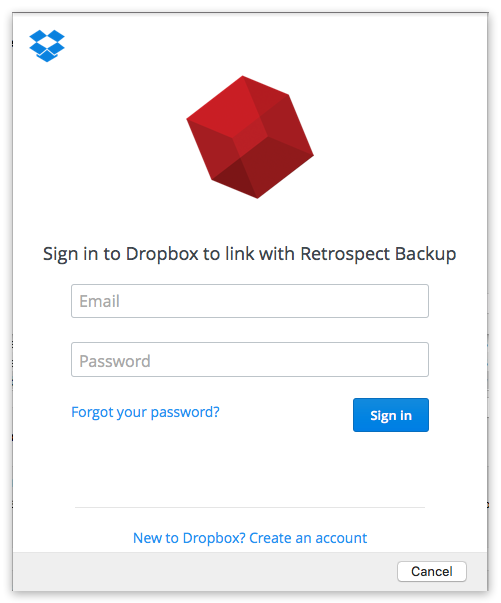 Because we use the OAuth secure protocol, only Dropbox sees these. Retrospect never sees them. 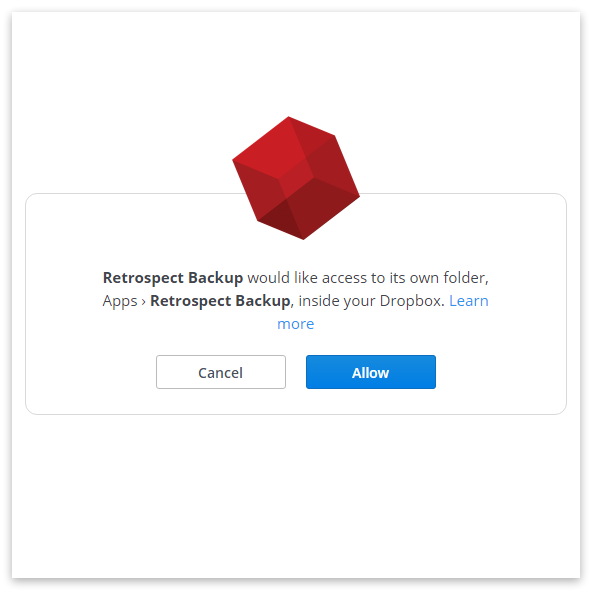 Dropbox will display the following message: "Retrospect Backup would like access to its own Folder, Apps > Retrospect Backup, inside your Dropbox." Click "Allow". 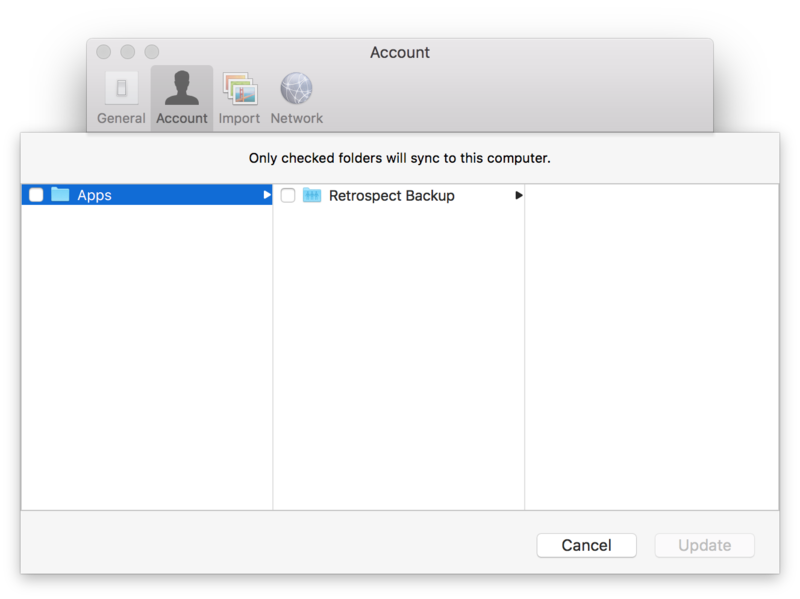 Note that Retrospect is never able to view files outside of that folder, so it’ll never have access to any other files on your Dropbox account. 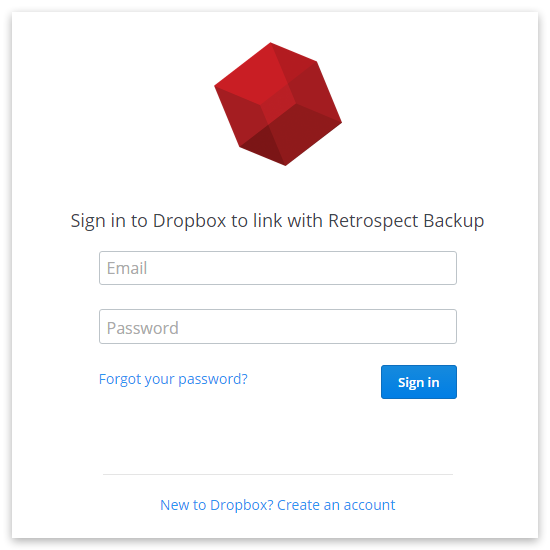 After successfully signing in and allowing Retrospect access to your Dropbox account, Dropbox will issue a temporary authorization code. 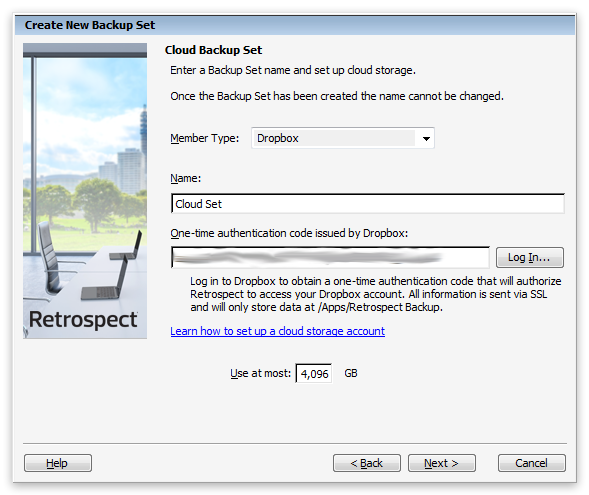 This is a temporary code to enter into Retrospect, and it will expire shortly after Dropbox issues it for security. In Retrospect, enter the authorization code into Retrospect, click Next, and finish configuring your backup set. 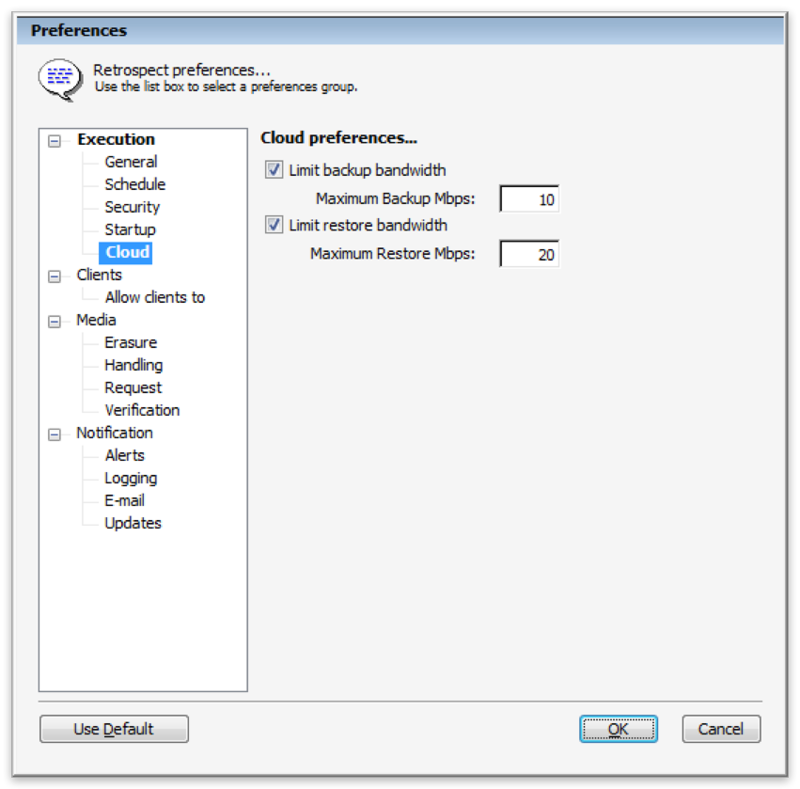 We encourage you to use AES-256 encryption for security. 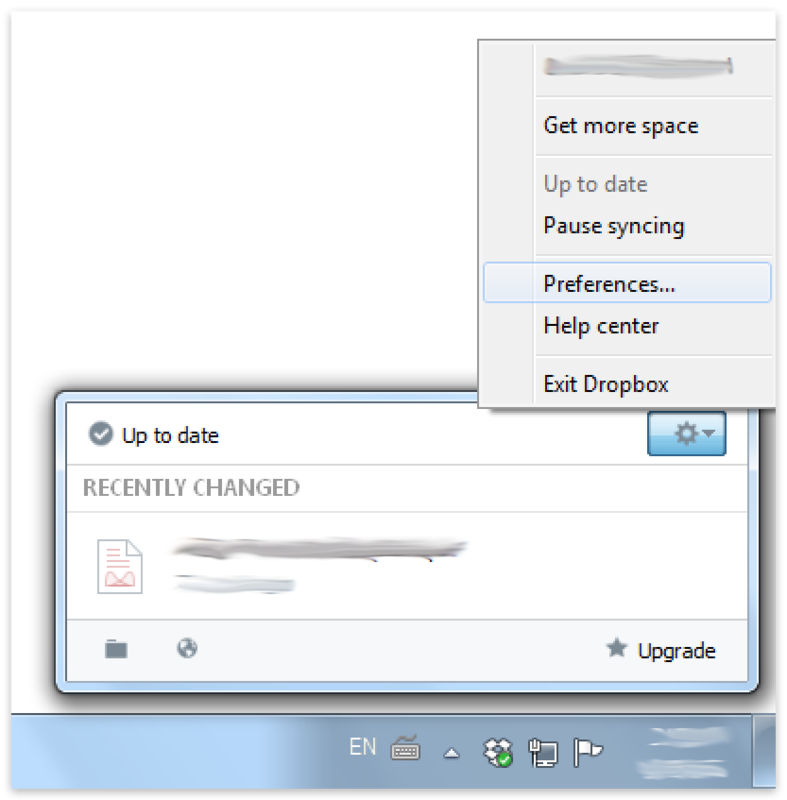 Select "Dropbox" from the dropdown menu and click "Log into Dropbox". 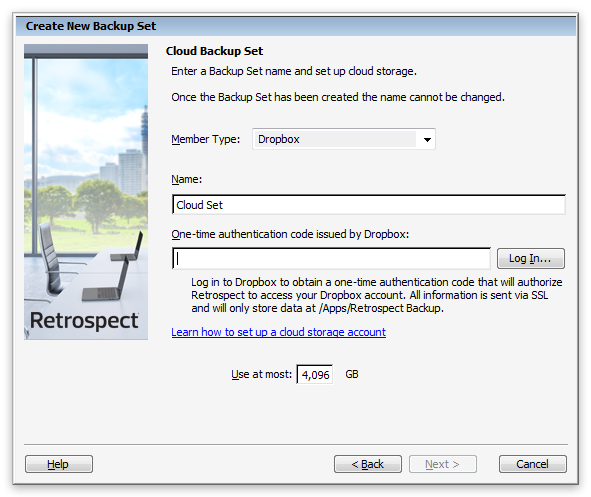 A window will come down and display a Dropbox webpage, where you can enter in your Dropbox email address and password. Fill those out and click "Sign in". The window will disappear if the authorization was successful. 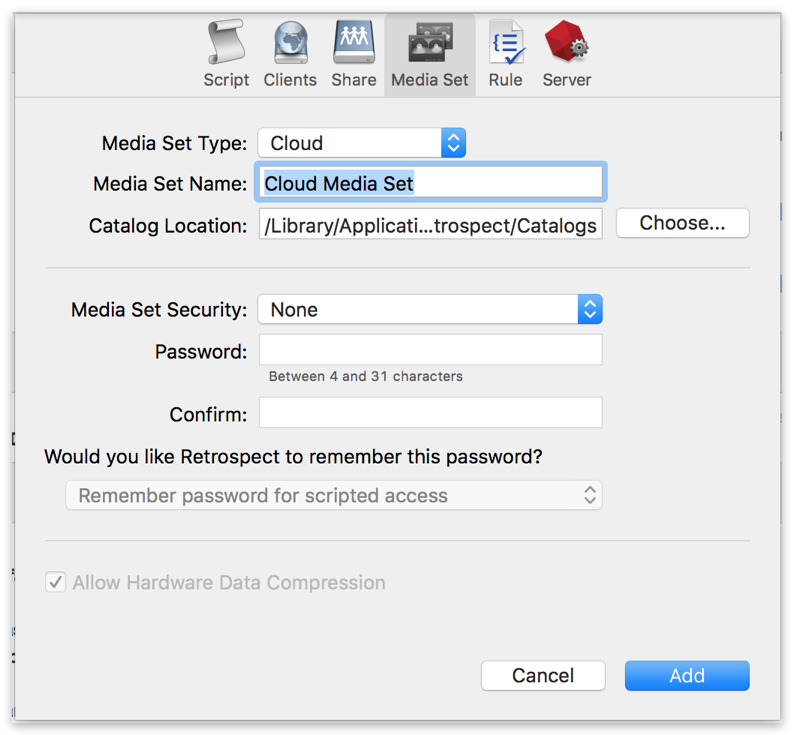 You can now finish configuring your media set.